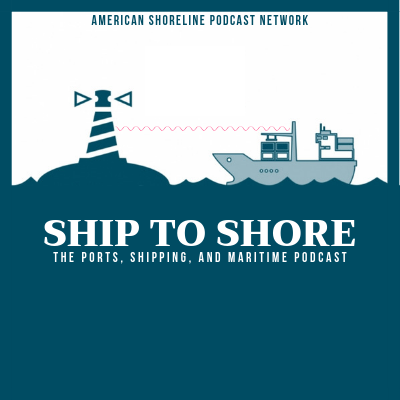 Welcome to Ship to Shore, ASPN's ports, shipping, and maritime podcast. On this, the maiden voyage of the show, host Robert Frump welcomes his friend and former colleague Andrew Maykuth to the show to discuss a wide-range of topics including the dredging of the Delaware River, operations at the Port of Philadelphia, and their shared experience covering the maritime world. Andrew Maykuth is the Philadelphia Inquirer's correspondent at large. He was raised in Columbus, Ohio, and graduated from the University of Missouri-Columbia. He worked for a couple of years at the Columbia (Mo.) Daily Tribune before he went to Philadelphia in 1982. He was covering local news when The Inquirer sent him on his first international assignment to Nicaragua in 1985. Since then, he has traveled to 49 countries in Africa, Latin America, the Caribbean, the Middle East and south Asia on Inquirer assignments. He also spent four years as the Inquirer's New York correspondent. His work has been recognized by The Overseas Press Club, the Population Institute’s Global Media Awards, Lincoln University’s Unity Awards, the Pennsylvania Newspaper Association and The National Association of Black Journalists. He was a John S. Knight journalism fellow at Stanford University in 2002.